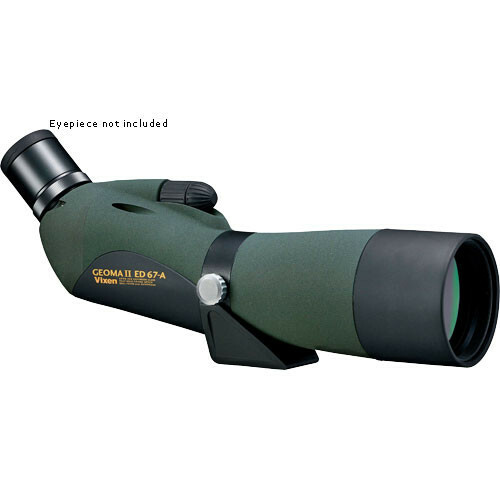 The Vixen Geoma II ED 67mm Spotting Scope is a field scope that features an advanced and improved optical design. It allows you to achieve the clearest views possible, and lets you enjoy all the wonders of nature. ED (extra-low dispersion) elements in this model offer improved bright, crisp imagery, with minimal chromatic aberration. 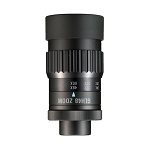 The scope uses a lightweight fiberglass tubing with a duller finish, which is more ideal for birders. Charged with nitrogen and completely waterproof, no need to worry about sudden rainfall or snow.